Angela is the newest addition to our team at TSO Santa Fe. 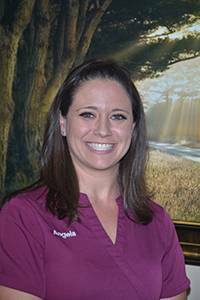 As our primary ophthalmic technician she assists the doctors during eye exams. She is extremely knowledgeable about contact lenses and glasses. She is a resident of Santa Fe for the past 20 years and loves that she is now a part of TSO, which helps care for the eyes of her community. Angela's greatest accomplishment is her loving husband, Donald and their four daughters Allie, Ashlyn, Avri, and Autumn. In her spare time she enjoys spending time with her family and relaxing at the pool and beach.